Instead of a vague authorization of the use of force, the congresswoman seeks a real debate and a comprehensive strategy. 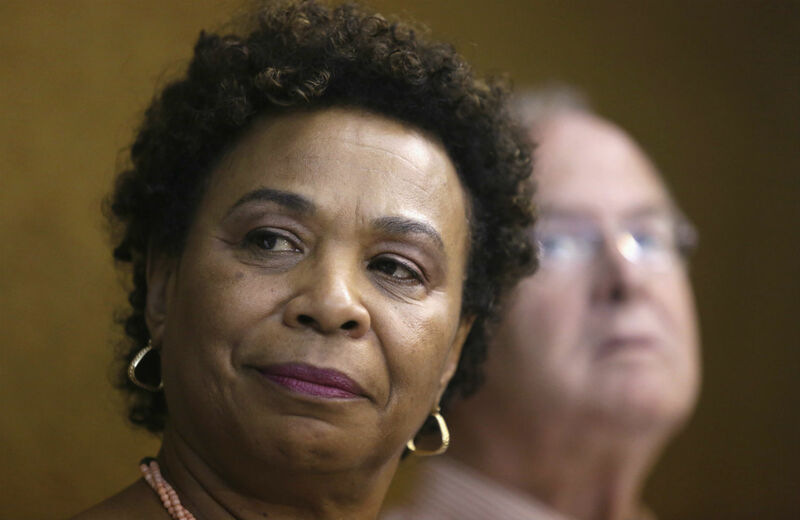 Barbara Lee wants Congress is get serious about issues of war and peace. The California congresswoman who cast the sole vote against authorizing George W. Bush to wage an ill-defined “war on terror” has been the House’s most consistent advocate for greater congressional engagement in debates about US foreign policy—and for seeking smart and comprehensive alternatives to endless war. In this pursuit, Lee has been willing to criticize Republican and Democratic administrations that seek blank checks from Congress. And she has often developed bipartisan coalitions to demand accountability from presidents and the Pentagon. Lee is pleased that President Obama has come to Congress seeking a new Authorization for the Use of Military Force (AUMF) for the fight with Islamic State (ISIL), as she has for years complained about the failure of the White House to bring Congress into the deliberations about questions of war and peace. But she is not satisfied with what Obama is proposing. This is not just about declarations of war and authorizations of the use of force. This goes deeper. “We can all agree that ISIL and their actions are horrific and barbaric. As we work to degrade and dismantle ISIL, we must be comprehensive in our strategy. National security experts have clearly stated that there is no military solution to ISIL,” explains Lee, who in 2013 was nominated by President Obama to serve as a representative of the United States to the Sixty-eighth Session of the General Assembly of the United Nations. “In order to ultimately degrade and dismantle ISIL, we must craft a robust regionally-led, political, economic and diplomatic strategy. The approach proposed by Lee and Honda has drawn praise from observers who recognize that the smart response to what is happening in Iraq and Syria must involve more than another ill-defined AUMF.